By nature, urgent care centers are often the first care setting for patients with immediate medical emergencies. Afterwards, these centers receive many inbound requests for medical records. 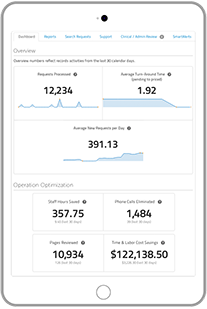 Looking to optimize your urgent care management? Let ChartRequest simplify release of information. 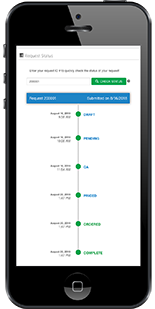 Our platform processes records requests quickly and accurately—helping you efficiently use your resources to serve patients. Information release can increase your administrative burden. 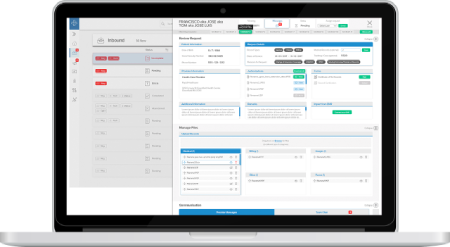 Include ChartRequest in your urgent care management strategy to increase operational efficiency. You’ll reduce hours of unnecessary communication while expediting accurate reimbursement. Our platform isn’t simply HIPAA compliant. For every information release, ChartRequest requires a two-step process for quality assurance. 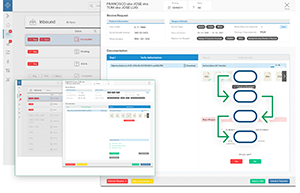 With our built-in QA checklists, your staff will double-check authorizations and medical records for completeness and accuracy. It’s difficult to serve patients well when your staff is constantly chasing down medical records—or spending hours on the phone, answering questions about requests.Leverage ChartRequest to support your administrative team.The ChartRequest app is designed to give requesters real-time updates on the status of their records. You’ll free up your employees—while making requesters happy. Looking to optimize your urgent care management? Let ChartRequest simplify release of information.